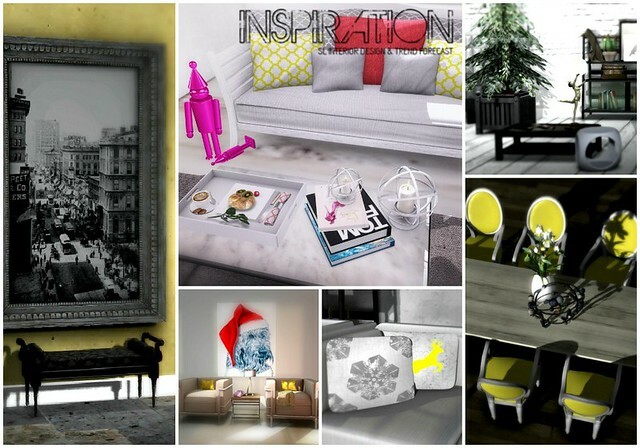 I am inspired by everything featured in the Inspiration Book by Pitsch Parx. I want to live in any one of the spaces featured, it’s so beautiful and inviting! I’m always amazed the decorating talent from fellow SL residents, and their ability to put together rooms with such great detail. Even though I don’t have a home space set up, this book made me want to create a cozy space for the holidays! If you’re looking for some design inspiration, visit the Inspiration Book site to view both volumes online.